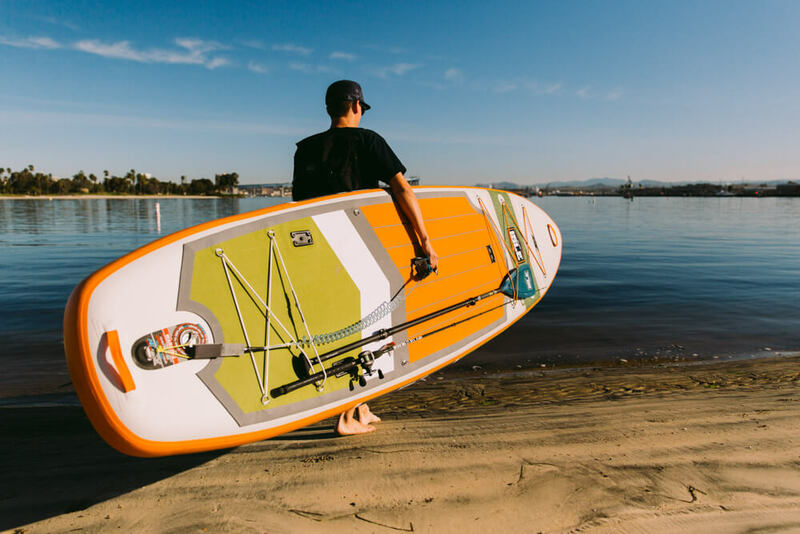 The Sportsman was designed for stand up paddle board fishing. 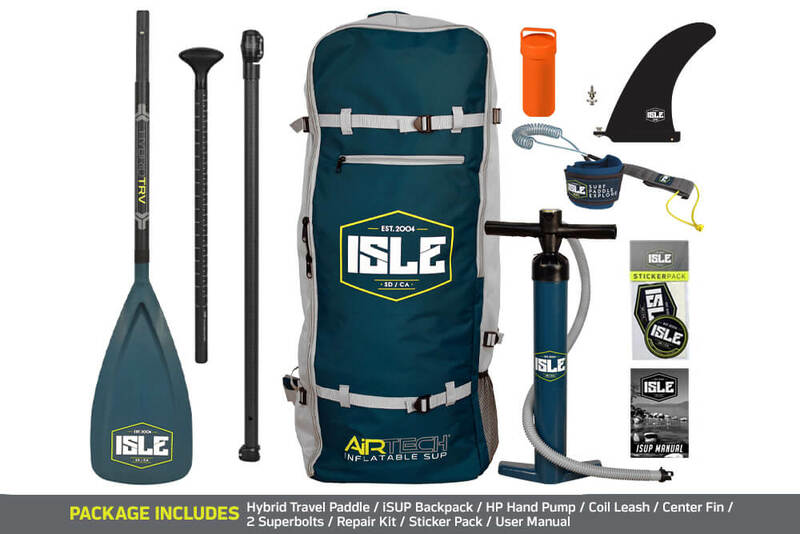 This inflatable fishing paddle board comes equipped with Scotty Mount attachments and extra bungees for your entire fishing setup. 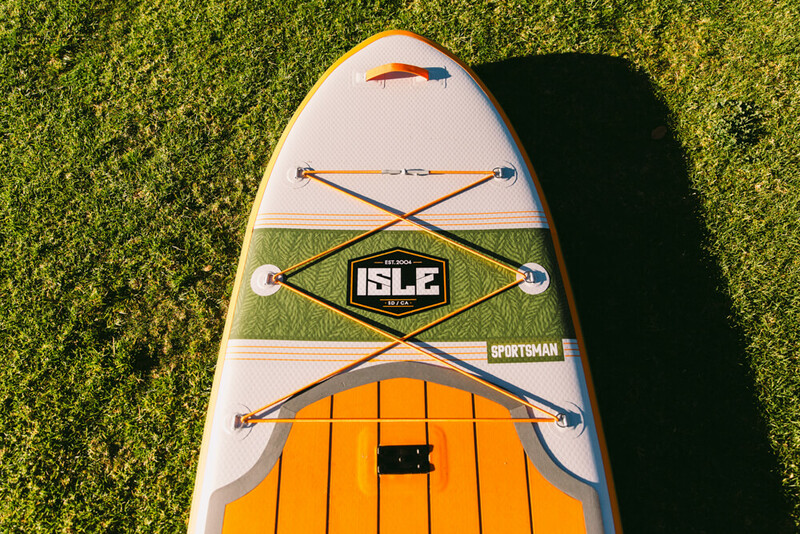 The Sportsman will be your best fishing buddy on the water. 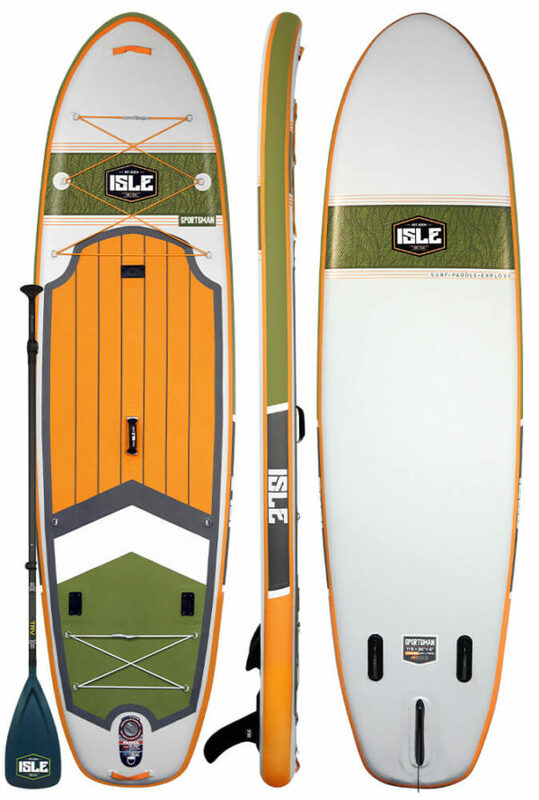 Without a doubt, this inflatable paddle board will enhance your fishing experience. 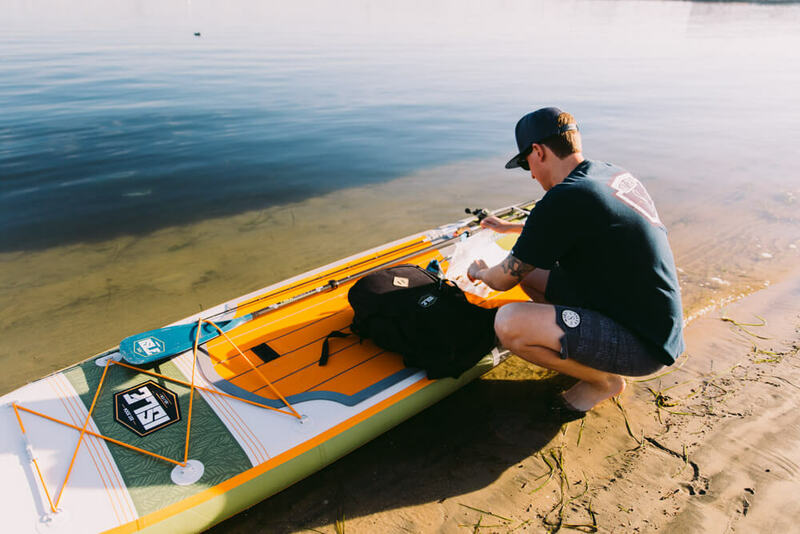 The Sportsman has a wider template for increased stability and extra storage space to carry your fishing rod, tackle box and cooler. 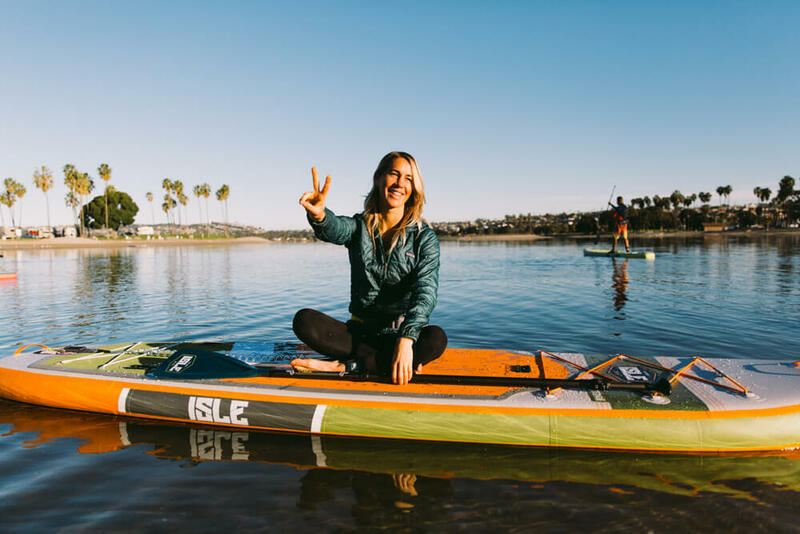 This inflatable paddle board will provide you with exceptional mobility to easily reach fishing spots that are inaccessible by land or boat. 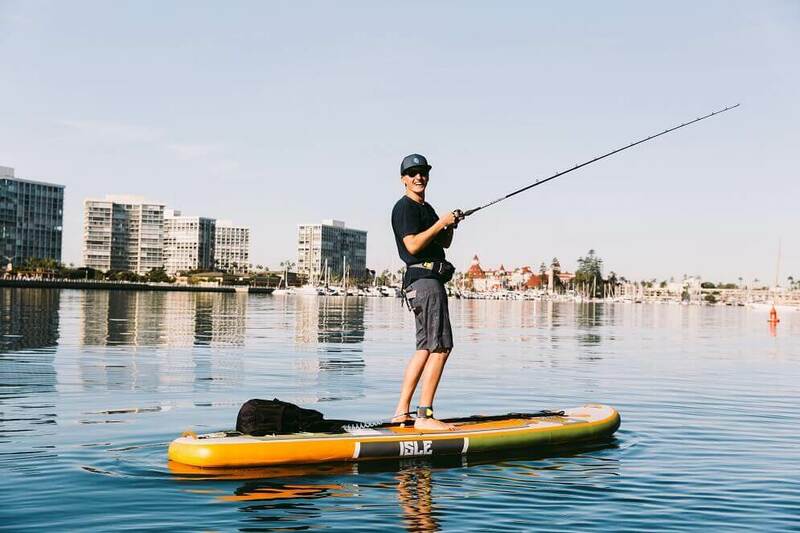 Compared to a kayak or boat, the Sportsman is compact and lightweight making it much easier to transport from your home to your favorite fishing spots on the water. 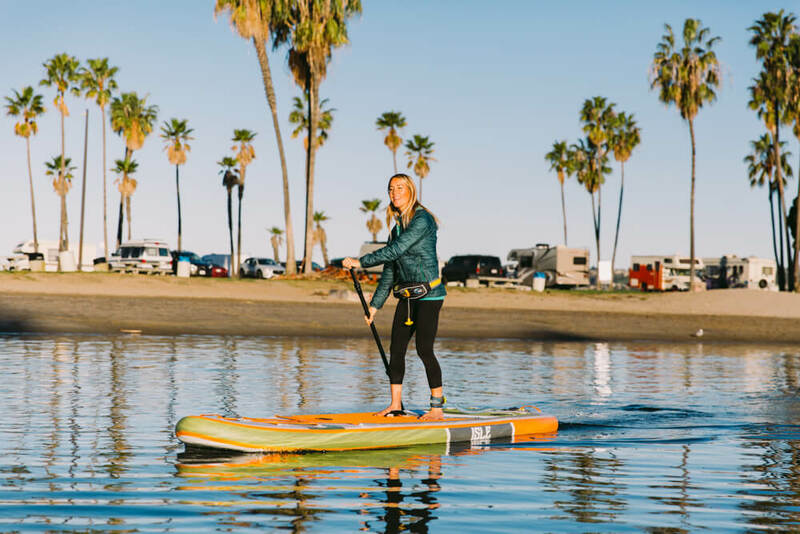 The Sportsman is constructed with military-grade PVC making this paddle board rigid enough for shallow waters and rugged coastlines. 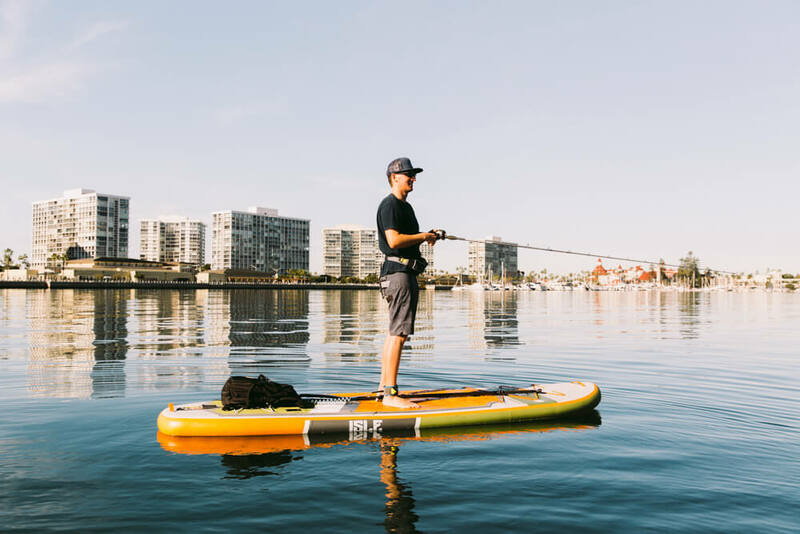 This fishing paddle board is six-inches thick keeping you and your fishing gear dry when casting and navigating your favorite spots. 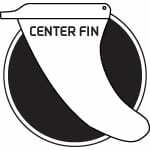 The Sportsman has a six-point bungee system on the nose and a four-point bungee system on the tail allowing you to tie down your tackle box, cooler and more. With the pre-installed Scotty Mounts, you can now personalize your fishing experience and have the option to add rod holders, fish finders and anything you need for your expedition.